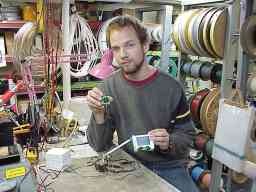 Meeting with Chad Coles to look at the camera and LCD display. 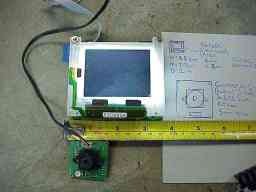 We are looking for the smallest camera and the lightest LCD display for a reasonable price. Chad was able to put a system together, below are some photos. Another concern regarding the camera and display is to make sure that it does not require too much power, as it will feed from the main battery pack. 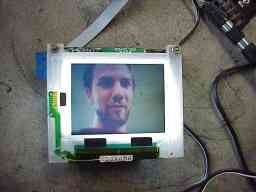 Chad Coles holding the camera and LCD display. 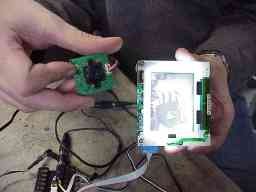 Showing the camera and LCD display. Showing how small the system is. You are on "Chad's" camera!